It’s George Clooney birthday month, and with his birthday arriving during the first weekend of May (May 6, to be exact), he’s already ensured the rest of the month will be a happy one after celebrating in style. As a famous fella, you might expect Clooney’s birthday plans would involve doing something unattainably chic or high-end, in which case you’d be half right. While Clooney did end his birthday celebration on a high note, the itinerary also involved something a bit more relaxed too. According to E! 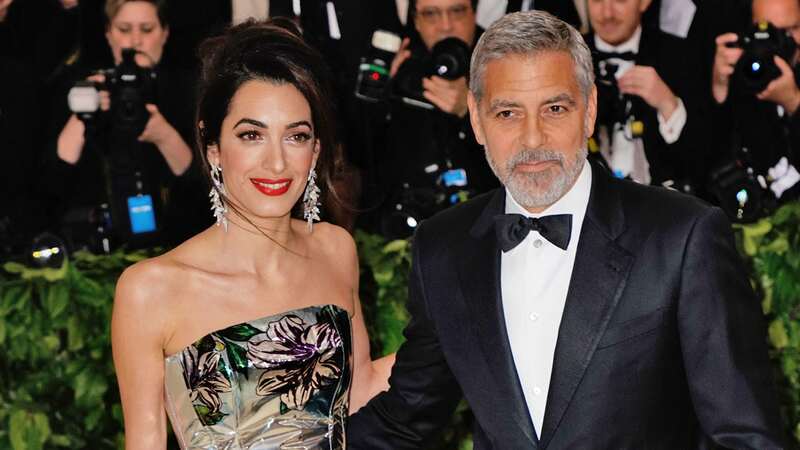 News, Clooney and his wife, Amal Clooney, flew into New York City from Italy on Friday, where they began the weekend celebration that would end with a stunning appearance at the 2018 Met Gala. On their third night in New York City, the Clooneys headed downtown for a birthday dinner and met up with longtime friends and their fave double date-night pals, Rande Gerber and Cindy Crawford. Clearly missing their adopted home of Italy, the Clooneys chose the Italian restaurant Locanda Verde as the quartet’s dining spot. After a super-chilled-out Sunday evening with friends, George got to play wingman to Amal as the pair stepped out at the 2018 Met Gala. Entertainment Tonight reminds us that Amal was actually on duty for the year’s most fashionable event as one of the Met Gala cochair’s alongside Rihanna and Donatella Versace. George seemed to happily play second fiddle to his wife during Monday night’s special event, opting for a classic black tux so as not to upstage his wife. He even commented to ET about how beautiful his wife looked while they made their way down the red carpet. And so, another birthday is down in the books for George Clooney. This year’s celebration, although a deviation from what we would expect from a low-key guy like Clooney, looks like it was just pure fun all the way through.